Schuyler Van Alen is confused about what is happening to her. Her veins are starting to turn blue, and she’s starting to crave raw meat. Soon, her world is thrust into an intricate maze of secret societies and bitter intrigue. Schuyler has never been a part of the trendy crowd at her prestigious New York private school. Now, all of a sudden, Jack Force, the most popular guy in school, is showing an interest in her. And when one of the popular girls is found dead, Schuyler and Jack are determined to get to the bottom of it.Schuyler wants to find out the secrets of the mysterious Blue Bloods. But is she putting herself in danger? 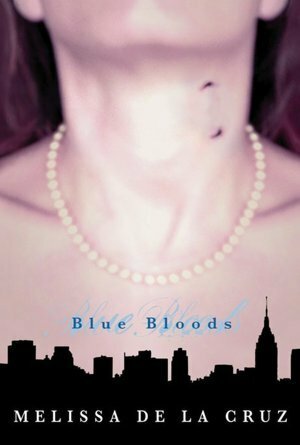 Melissa de la Cruz’s vampire mythology, set against the glitzy backdrop of New York City, is a juicy and intoxicating read.